St John’s has a lively branch of the Mothers’ Union, a world-wide Anglican organisation that provides practical help and advice as well as promoting spiritual development and fellowship. Despite the title, you don’t have to be a woman or a mother to be part of it! 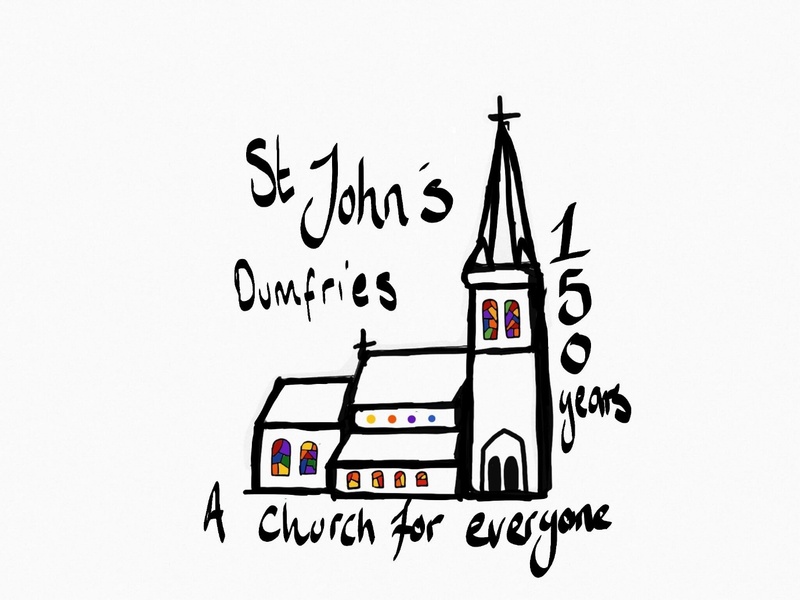 Some of the activities of St John’s members include support for Dumfries Women’s Aid, provision of toiletries and help to people in hospital, participation in a network of prayer and work with the Mothers’ Union in our twin Diocese of Byumba. There is a lively programme of meetings and worship. Diary: see main Diary page on the website, or the paper Diary published today (along with the Easter Newsletter, in place of the Magazine, which is next scheduled to appear in June), available in the magazine folders at the back of the church. Please collect yours (and any you can deliver to friends & neighbours) and tick off your/their name(s) on the sheet. Thank you! This Sunday’s Soup Lunch is being held in support of the Diocesan Lent Appeal for 2019: Malawi Association for Christian Support, providing funding to complete a new Operating Theatre Block at St Luke’s, Malosa. You can also make Gift Aid donations, if you wish. See posters. Lent Groups An A4 list of all the Lent groups this year is available at the back of the church. There are quite a few groups this year offering diverse styles and approaches, covering a broad range of themes. Do pick a copy and see if there is a group which you would be interested in and would like to attend. Although the Lent Lunches in support of Christian Aid have finished for this year (thanks to everyone who helped in any way and/or who attended; results of the totals raised etc to follow), St J’s Friday Soup Lunches in aid of First Base Food Bank will resume in the Hall, same time, same place, on Friday, 10 May. Hope to see you there. Thank you all again for your support of First Base Food Bank. All our donations to this very worthwhile cause are gratefully received and assist First Base in their work providing food parcels in our area. As Easter approaches can we do as previous years and donate Easter Eggs as well as our normal donations to give a treat to the families we are supporting. Thank you all so much, Annette and Pauline. Internet and Social Media for Beginners events, organised by the Diocese and open to everyone. 11am, Sat 4th May, St Ninian’s Church Hall, Prestwick; 11am, Sat 25th May, St Ninian’s Church Hall, Castle Douglas (Whitepark Road, DG7 1EX). Come and explore any question you might have about the digital world and our participation in it with the Digital Missioner for Glasgow and Galloway. This course aims to provide basic information about staying safe online, utilising available resources and enabling you to become a confident digital communicator. Please call the Diocesan Office (Mon-Fri, 9am-4pm) to book your place – 0141 221 5720, or email digital AT glasgow.anglican DOT org. The ‘Flowery Box’ will again be at the back of the church, when services are on, to enable those who would like to do so, to contribute to the cost of the flowers which will decorate the church at Easter. You can also make donations, if the box is not in evidence at a suitable time for you, to Carol Finlay, Carolynne Sorrell or Anna Edbrooke. The April 2019 Newsletter from the Scottish Episcopal Institute is now on display on the lit noticeboard. The overall sum raised from our Cyclone Idai collections was £365, to which Gift Aid also needs to be added. Thank you to everyone who contributed. Following the trip to Glasgow and Perth in February to view lighting systems in other churches, a further trip was organised to Dundee and Invergowrie earlier this month. David Kerr is putting together a presentation with photos and comments from all the churches visited. The consensus is that a lighting consultant should now be engaged. As those who visited Dundee all agreed that the lighting in St Paul’s Cathedral was the best system seen to date, it has been decided to approach the Edinburgh based consultant who advised on the Dundee project. The consultant will be invited to visit St John’s to give his opinion on a suitable lighting scheme for the church and asked to provide a report, with recommendations and costings. Another SGM will be held when the lighting consultant’s report is available and David Kerr’s presentation will be shown at that SGM. Election of Bishop: We now have the timetable for the second episcopal election process. The Diocesan Synod will met on the 26th April to elect the Preparatory Committee and have preliminary discussions. The closing date for nominations will be mid May after which the Preparatory Committee will consider the nominations and prepare a shortlist. The Synod will meet the candidates on the 27th July and vote on the following Saturday, the 3rd August. If you have any questions about the process please ask and please do pray for all those involved and for those considering the possibility of offering themselves for consideration. Margaret Morton, Lay Representative. Book launch: Jane Haining: A Life of Love & Courage, by Mary Miller: to be held at Dunscore Parish Church, DG2 0TA at 7pm on Friday, 03/05/2019. Free admission, but donations welcome. Refreshments provided. See poster or www.dunscorechurch.co.uk. 12:00-3:00pm, followed by refreshments. Come for as long or as short as you wish.